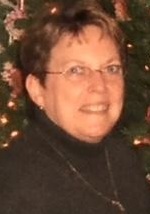 Beverly Dawn Calafos, 72, of Westminster, Maryland, died peacefully on Tuesday, April 2, 2019 at Carroll Hospice Dove House. Born on February 2, 1947 in Baltimore, Maryland she was the daughter of the late John Everett Cavanaugh and Madaline L. (Miller) Cavanaugh. She was the wife of 50 years to John “Barry” Calafos. Beverly worked for C & P Telephone and later as a secretary with a local private school. She retired as a legal secretary from the Carroll County States Attorney’s Office. She loved crafting homemade cards and enjoyed scrap booking. Surviving in addition to her husband are sons, Michael Calafos and wife Margaret of Dillsburg, PA, and Jeffrey Calafos and wife Roxana of Plainfield, IL; grandchildren, Sofia and Lucas Calafos; sister, Carole Lee Miller of Westminster. A funeral service will be held at 11:00 a.m. on Friday, April 5, 2019 at the MYERS-DURBORAW FUNERAL HOME, 91 Willis St., Westminster with Pastor Jim Bracelin officiating. Burial will follow in the Carrollton Church of God Cemetery in Finksburg. The family will receive friends on Thursday, April 4th from 6-8 p.m. and on Friday from 10 a.m. until the time of service at the funeral home. Memorial contributions may be made to Child Evangelism Fellowship (cefmaryland.org) or to the Religious Freedom Coalition (religiousfreedomcoalition.org).